Beef cattle producers now have more tools than ever to help them evaluate the genetic merit of animals to be used as parents of the next generation. A balance between visual appraisal and genetic potential is key to successfully selecting for the next calf crop. One element that cannot be left out of the selection equation is structural soundness. 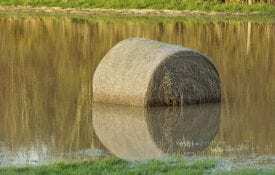 A farmer may produce cattle that excel in muscle, maternal ability, and feed efficiency, but if the cattle cannot walk easily from feed source to water source, then all else has been in vain. Though each cattle herd may need different selection criteria to produce cattle that meet herd goals, one of the few characteristics important to all cattle is structural correctness. With input costs steadily increasing, today’s cattle farmers must minimize expenses wherever possible. Selecting cattle that are performance oriented and structurally sound will decrease the number of cattle leaving the herd for various lameness issues. This will increase the longevity of the cowherd, justifying money spent on developing or purchasing replacements. The hoof is one of the more complex aspects to consider when evaluating structural soundness. Problems with the hoof, such as excessive or uneven toe growth, may be caused by genetic, nutritional, or environmental factors or may be indicative of other concerns the animal may face structurally. Read more about beef conformation of hooves. Pasterns are also important to consider when evaluating structural correctness in beef cattle. The pastern is generally understood to be the joint between the cannon bone and the hoof. They play a role in both providing cushion and support as cattle walk and stand. Read more about beef conformation of pasterns. Hind leg structure is one of the primary indicators of an animal’s ability to move efficiently. Evaluating cattle while they are walking is one of the most efficient ways to gauge structural soundness. Read more about beef conformation of hind legs. The alignment of joints in the front leg also plays a considerable role in the structural correctness and mobility of a beef animal. More than 50 percent of the animal’s weight must be supported and carried by its front two legs. 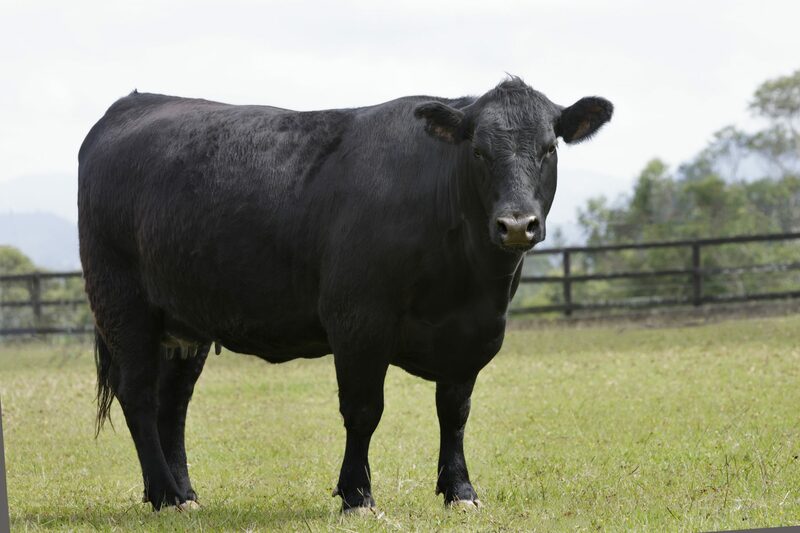 Read more about beef conformation of front legs. When evaluating beef cattle from the rear, hooves of the animal should point forward. However, that is not the case in a large number of beef cattle. Read more about evaluating structure from the rear. From the front, cattle whose hooves are faced forward are ideal. Read more about evaluating Structure from the front. The two points of reference to be aware of in evaluating the hip are the hooks and pins. Although some breeds, such as those influenced by Brahman genetics, are less likely to be level, the ideal beef animal would be nearly level from hooks to pins. Read more about hip structure. Although structural correctness is just one aspect to consider when selecting for genetically superior cattle, it is a primary factor in the ability of cattle to perform their desired function. Just as is the case in other aspects of the beef cattle industry, there is an area of acceptability when it comes to structural correctness. This area becomes smaller or larger in regard to what end of the spectrum you are evaluating cattle. 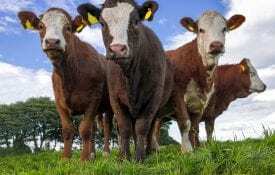 Animals retained or purchased for the purpose of breeding stock have a considerably smaller margin of error when it comes to structure, especially when compared to those cattle being sent to market. There is a line that, regardless of position in the cattle industry, should not be crossed when it comes to perpetuating cattle that are unfit. 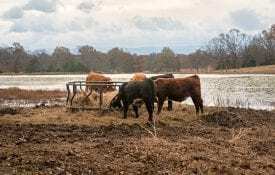 Cattle used in breeding programs need to be correct in terms of structure to survive in a pasture-type setting as well as perform the functions required of breeding stock. The ideal time to evaluate structure is when identifying replacements for the breeding herd. At this time, detrimental characteristics can be avoided, thus reducing the risk of potential problems down the road. Avoiding structural issues initially is considerably easier than trying to remove them from the breeding herd later.